The India Government Mint operates four mints in the country for the production of coins. This move proposed by PM is estimated to save 20 billion on currency transportation costs over the next 5. Applicants who have completed Degree or equivalent from a recognized Institute for IGM Sarkari Naukri 2019. 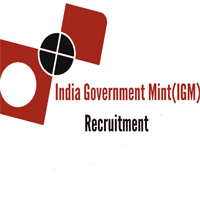 Eligible & Interested candidates can Download Notification From Official website page at www.spmcil.com IGM Sarkari Naukri 2019.